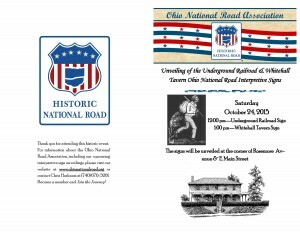 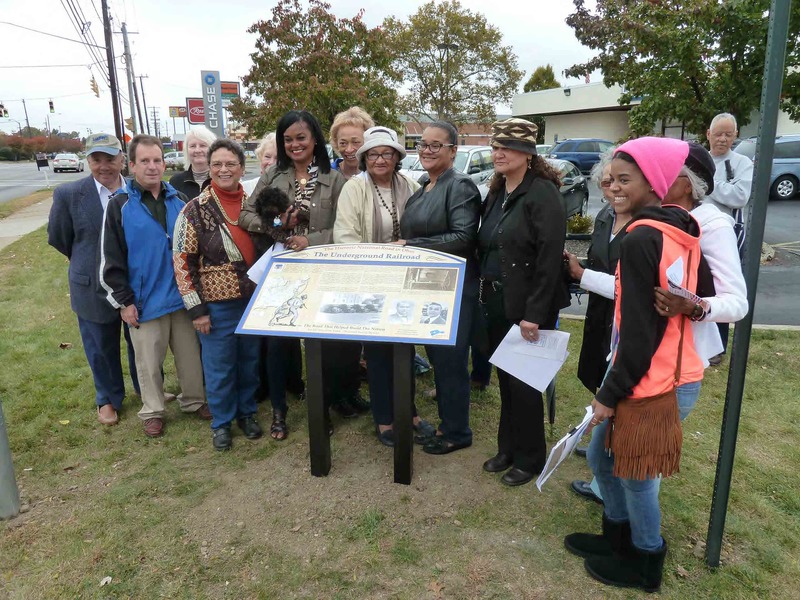 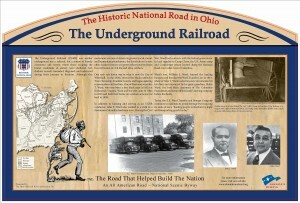 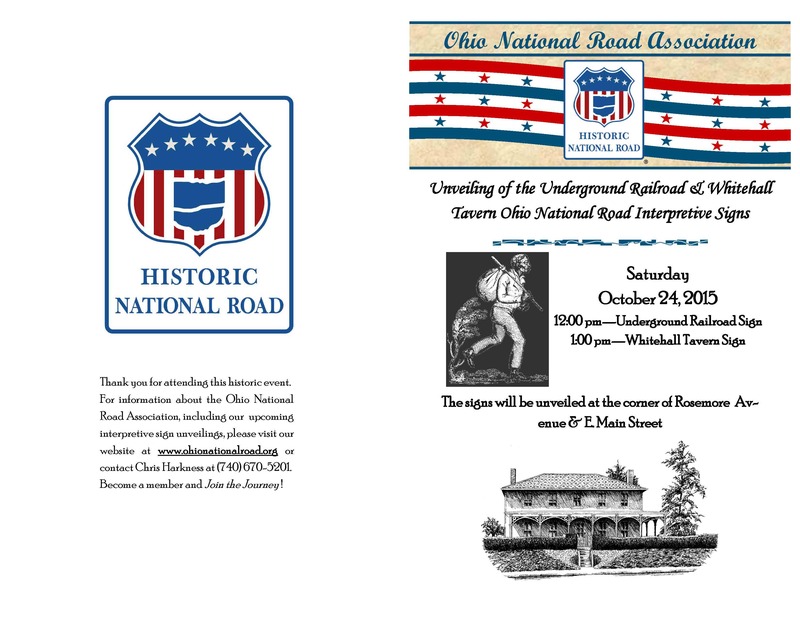 This Ohio National Road Interpretive sign was unveiled on October 24, 2015 in Whitehall, Ohio. 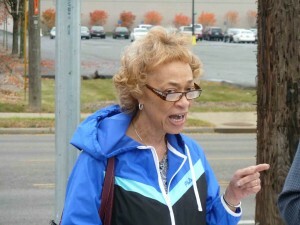 There was a large crowd with some emotions running high as members of the Ward family were attendance. 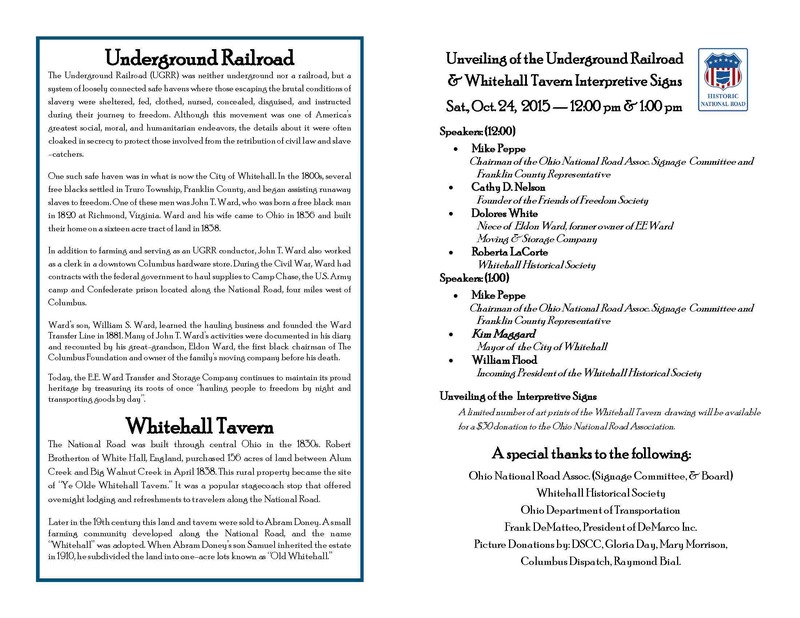 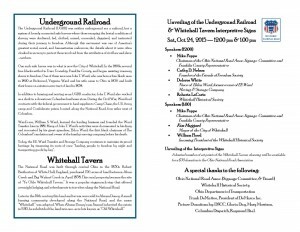 Ohio National Road Association members Mike Peppe (Interpretive Signage Chairman) and Cathy Nelson spoke about this sign and the significance of the Underground Railroad. 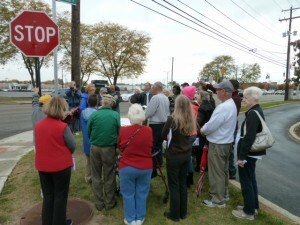 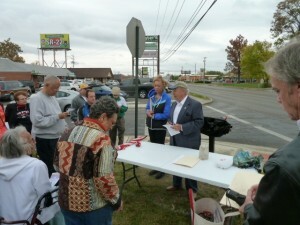 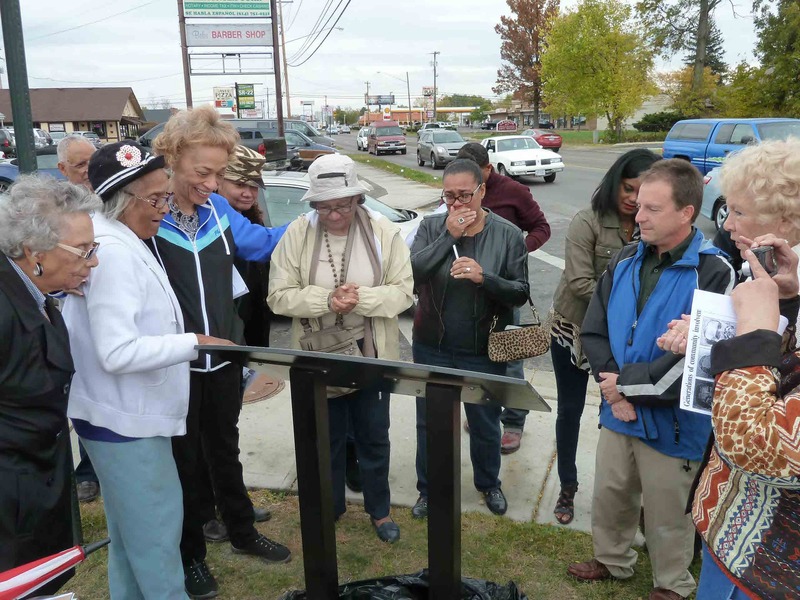 In addition, Roberta (Bertie) LaCorte of the Whitehall Historical Society addressed the crowd.